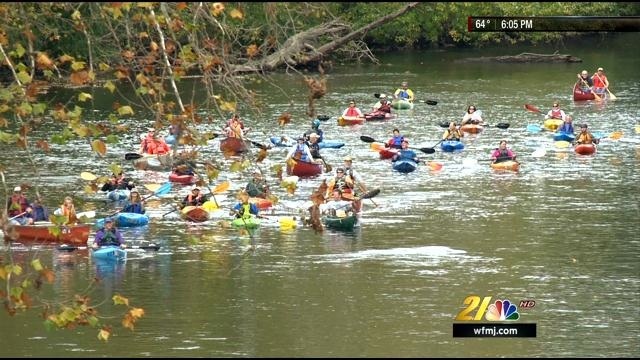 With the help of Chuck Miller and other Mahoning River Paddlers, we are scheduling the third attempt of the historic “Girard to B & O” paddle on Sunday Aug. 31st. at 11:00 AM, with a rain date on Sunday Sept. 7th. If interested, you’ll need to message Don Rex at https://www.facebook.com/drx44420?fref=ts…so that we have “head counts” for shuttle service and a downtown lunch. For shuttle service…starting at 9:30 AM, you can drop-off you canoe or kayak at the manned launch site at the end of Front St, then drive to the B & O Station to leave your vehicle. You’ll then be shuttled back to Girard for the launch. We’ll need “shuttlers” who will be willing to drive fellow paddlers back to Girard. Again, please message Don Rex at https://www.facebook.com/drx44420?fref=ts, if you can help provide the service. For those interested we plan to meet for lunch at a “to be announced” restaurant in downtown Youngstown after the paddle. If yes, let Don know when you message him. The center of Girard is State St. (Rt. 422) and Liberty St. From State St (Rt. 422), take W. Liberty St., onto the bridge (toward McDonald). Take the 2nd. ramp on the left from the bridge, go left to 2nd. street on right (Front. St.). Go to the end of Front St. and follow the wide path to the river. For GPS…use the 31 Front St. address (the only home on Front St.) or the coordinates…Latitude : 41.152568 |, Longitude : -80.707623. Don’t forget…message Don Rex on Facebook athttps://www.facebook.com/drx44420?fref=ts . If needed, call him at 330-219-2459.